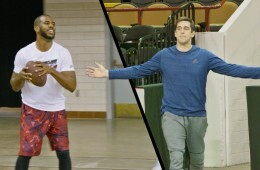 Watch Chris Paul and Aaron Rodgers show off their ridiculous accuracy, to nail nearly impossible trick shots with the Dude Perfect crew. 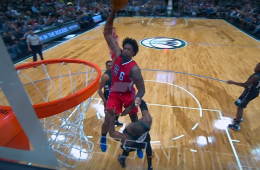 DeAndre Jordan made Greg Monroe his first poster victim of the season with the dunk of the night, week, month and maybe year. 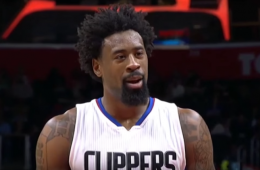 A funny breakdown of all 22 free throws DeAndre Jordan missed against the Blazers. 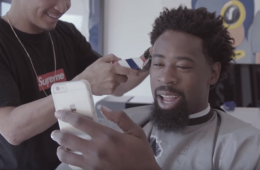 NBA Barber JayR starting out cutting hair in his garage and now has a client list that includes Doc Rivers, DeAndre Jordan and reigning MVP Stephen Curry. 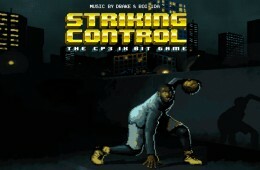 Jordan Brand has launched an 8-bit video game titled "Jordan CP3 Striking Control" starring star Chris Paul to endorse his Jordan CP3.IX signature shoe. 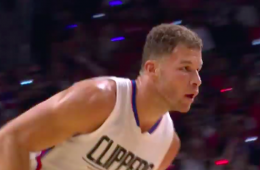 SI Swimsuit model Samantha Hoopes recently did an interview with TMZ Sports and the aspiring gym teacher let it be known that she is scouting Blake Griffin. 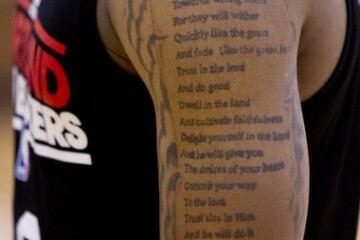 In the first DeAndre Jordan grudge match between the Maverick and Clippers. 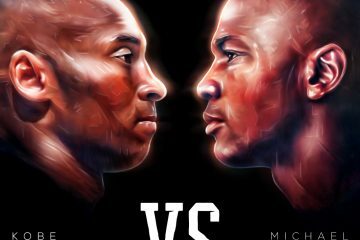 Blake Griffin took center stage, lighting up the Mavs. 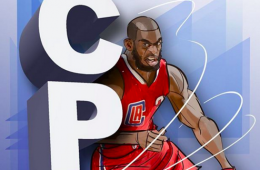 Los Angeles Clippers floor general Chris Paul aka Chris Paul illustrated by Karmo Ruusmaa. 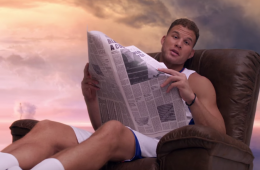 Blake Griffin dunking over a couple of guys will always make headlines and so will the more refined next generation 2016 Kia Optima. 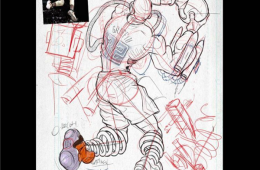 This Blake Griffin 'Blake the Quake' tribute to the LA Clippers star forward illustrated by Karmo Ruusmaa might just be a rough sketch and it's still killer. To switch up his offseason workout routine, LA Clippers all-star power forward Blake Griffin took up new unconventional ways to enter the season better. 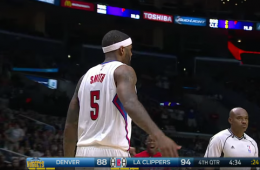 Ignore the bad LA Clippers logo and focus on the beautiful Chris Paul alley-oop pass and the even prettier DeAndre Jordan slam. 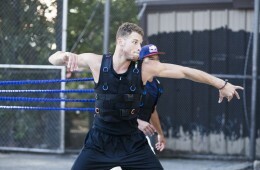 In a new Redbull web series titled “The Crossover” featuring Blake Griffin.The all-star LA Clippers forward, tries his hand at different sports. 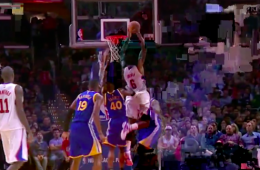 New LA Clippers forward Josh Smith gets a pass from Lance Stephenson drives, slams and draws the contact from Nikola Jokic for the poster jam.